Kilian Jornet is arguably the best all round endurance athlete in the world. 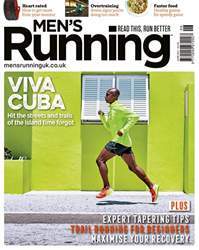 A life of stamina-boosting adventures, divided between trail running in the summer and ski mountaineering in the winter, has equipped the 29-year-old Spanish runner with a resting heart rate of 34 beats per minute (two to three times lower than the human norm), just 8% body fat (less than half that of an average man of his age), and a VO2 max of 85-90ml/min/kg (double that of a typical gym-goer). A colossus of the global running scene, Jornet is a multiple winner of the high-altitude Skyrunner World Series and has triumphed in the most punishing ultra-endurance races in the world, including the Western States 100, the Hardrock Hundred Mile Endurance Run and the Ultra-Trail du Mont Blanc. In the past five years his ‘Summits of My Life’ project has seen him complete ‘Fastest Known Time’ speed records for running up peaks like Mont Blanc, Denali and the Matterhorn and he is hoping to run up Mount Everest, the highest peak on Earth, without oxygen or porters later this year. Jornet’s ability to shatter records and push the boundaries of human stamina has turned him into an inspirational icon for recreational runners around the world: he now has 225,000 Twitter followers – more than ultrarunning legends Dean Karnazes and Scott Jurek and 2016 Olympic marathon champion Eliud Kipchoge combined. Although no rival can catch Jornet, every runner can learn from him.